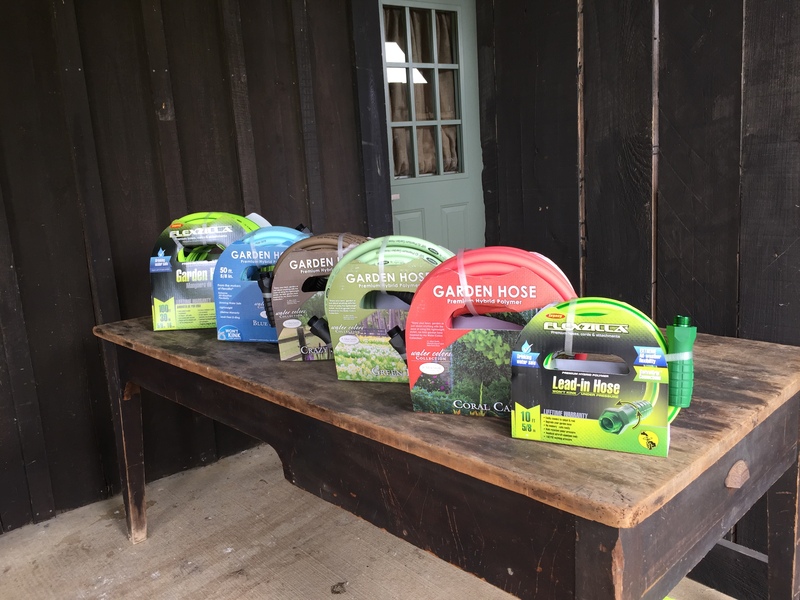 I’ve been curious about these and also about lightweight coil hoses that Gardeners Supply sells. How’s the weight of the Flexzilla hose? is it comparable to a standard garden hose, or lighter? It is more standard than lightweight. But it seems lighter as it is easy to maneuver. Do you have to order this hose? I have looked at Lowes, Home Depot and Walmart – cant find it. Would love to purchase one without having to order – [but will do so if needed] – any suggestions? The Water Colors Collection is available at shop.pallensmith.com. Saw the green Flexilla at Meinards yesterday. For the new colors, you order those at PAllenSmith.com. Other retailers … http://www.flexzilla.com/where-to-find-flexzilla/ HAPPY GARDENING! I have to say, that light blue is very tempting! 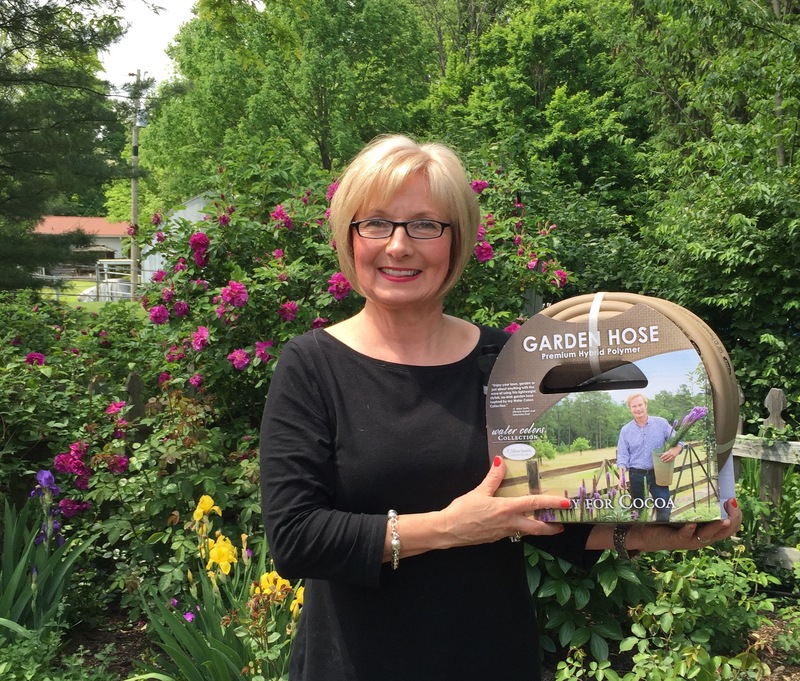 That is such a gorgeous photo of you and your garden hose and good colour choice, don’t want to distract from the roses! Thanks Michelle! Ours roses are just getting started and yours are going to sleep. When will you be in NYC?